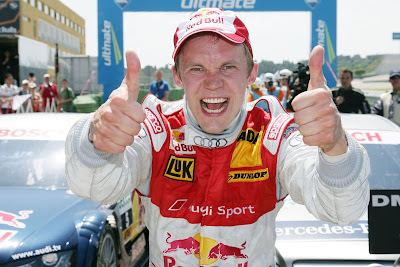 Following his DTM win in Valencia on Sunday, Mattias Ekström is fulfilling a long-time dream of driving a NASCAR Sprint Cup car. Invited by his team sponsor, Red Bull, Ekström will be performing track tests with the NASCAR Red Bull team today at the Virginia International Raceway. 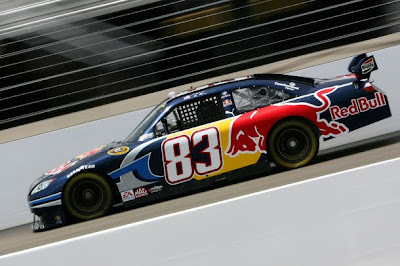 The opportunity arose after Brian Vickers (driver of the #83 Red Bull Toyota) was unable to test due to health reasons. "It’s no secret that the NASCAR series fascinates me and that it’s been a long-harbored dream of mine to drive such a car,” said Ekström. In search for a driver to replace Vickers for testing, the Red Bull team remembered the interest shown by Ekström, who has been contesting the DTM in Red Bull livery for nine years. Once Audi Sport approved the excursion, 'Eki' hopped a flight bound for America Sunday night, just following a triumphant weekend in Valencia.